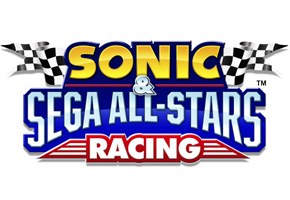 We have this image just coming in courtesy of News Tipster Impish…it is on Sega of America’s Site and it affirms the presence of Banjo and Kazooie and console specific characters in Sonic and Sega All-Stars Racing. The image all but affirms something Steve Lycett had hinted against–Banjo-Kazooie will be specific to the XBOX360 edition of the game. We may have our announcement before it’s formally introduced by Sega. Wednesday Update: You may notice that all the links to Sega’s side of things are broken–that’s because Sega has removed the box art in question. Something is up. The image is available–it is small–below. But it does appear legitimate. We thank Impish for sending the information in via our News Tips system. Clearly, this opens up a whole new dimension to who might be in and out for ASR, and we will be sure to keep on top of it all. 2nd Update: We want to let you know that, at least for right now and at least according to some of the other box art that’s been released, Banjo and Kazooie will be the only console specific character. So far, other box art indicates nothing else that’s console specific. So, for those wondering about the possibilities of, for example, Mario in the Wii edition, or Sackboy in the PS3…yes, it’s possible, but don’t hold your breath. This may be an exclusive to drive people to the XBOX360 edition.